Decentralised generation has been trying to meet the gap of electricity access that grid extension has not been able to meet even after 70 years of independence. There are still around 244 million people in India (2014 estimate), almost 20 per cent of the population who do not have access to electricity. In 2015, the Centre introduced the idea of round the clock power supply to all by 2019. Deen Dayal Upadhyaya Gram Jyoti Yojana, earlier known as the Rajiv Gandhi Grameen Vidyutikaran Yojana, was earmarked to ensure the expansion of electricity grid to reach every village in India. 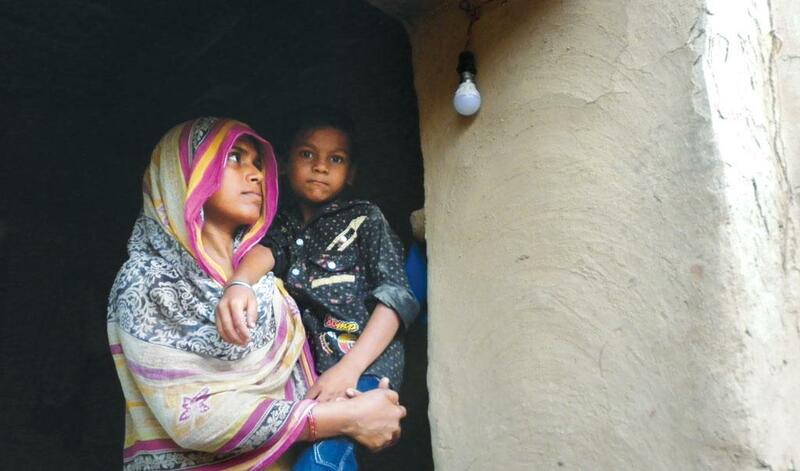 However, a flawed or misleading definition of electrification, has allowed the government to claim many villages as electrified even though households may not have access to electricity supply. The Centre considers a village electrified if 10 per cent of the households have been connected to the grid. Thus, the Ministry of Power and Rural Electrification Corporation, says that only 2,899 villages that are yet to be electrified. Out of 597,464 census villages, 594,565 villages (99.5%) have been electrified. This gap in connectivity led to the growth of the mini-grid sector. A mini-grid is a self sustaining decentralised grid which has a set of electricity generators, storage and a distribution networks to supply electricity to a small set of consumers. Earlier, mini-grid projects were set up in areas where the grid would never reach, but today the maximum number of projects exists in the states of Uttar Pradesh and Bihar where grid connection is almost 100 per cent. This is because even though the grid exists, there is neither sufficient nor reliable power supply to meet, in some cases, even the basic lighting needs of the people. Many of these projects are set up in villages where the grid already exists but the voltage is so low that none of the appliances operate properly. The state of Uttar Pradesh has also released a state mini-grid policy to boost this sector. The Ministry of New and Renewable Energy also released a draft national mini-grid policy to support the segment back in June 2016. This is why it came as a surprise when the government announced another scheme called Pradhan Mantri Sahaj Bijli Har Ghar Yojna, or ‘Saubhagya’ last week. Prime Minister Narendra Modi said at its launch that this scheme would enable last mile connectivity which is one thing DDUGJY could not accomplish. What the ‘Saubhagya’ scheme ignores is the fact that mini-grid developers were doing the very same thing. Mini-grid projects have the ability to provide reliable and quality electricity on demand to the households and enterprises in the village, albeit at higher costs compared to grid electricity. One thing ‘Saubhagya’ scheme seems to ignore is the commercial demand that mini-grid caters to in the village because its focus is only on the household demand. These projects are set up after ensuring that the demand is there with an anchor load like telecom towers and business enterprises to whom they can sell power at a higher rate compared to the households just like any distribution company does. Mini-grid developers come in with the idea of rural development since it would only lead to creating more demand for their services. ‘Saubhagya’ scheme would be failing to tap into a bigger chunk of commercial demand that exists in the village. At the household level, there is no guarantee that the distribution companies or discoms would be able to supply power on demand when they are not able to do that in cities. Barring a few metropolitan cities, many smaller cities and towns do not have the luxury of round the clock power and suffer from frequent power cuts. The discoms are in massive debt and continue to bear the burden of huge losses because of their inability to charge consumers according to their supply costs. This problem would not be solved unless politics is taken out of supply of electricity. Discoms also lack the manpower to handle billing and collection and small repairs for the massive population discoms do not cater at the moment. They also fear that the poor in the country cannot afford to even pay the already subsidised tariff, which is another reason for their lack of supply to the rural India. This responsibility of collection of electricity bills has been given to the Gram Panchayat and public institutions in the rural areas, who have no experience in the same. Mini-grid projects would not only be a better solution to the problem of supply, they could also act as a distribution franchisee for these discoms. They would lead to less distribution losses since power generation is occurring at the place of consumption. They can create demand and supply it while developing the rural economy instead of just focusing on the household needs. Given the competition they would face from the grid and the entire effort being focused on grid connection, mini-grid sector has been given a major hurdle to cross.